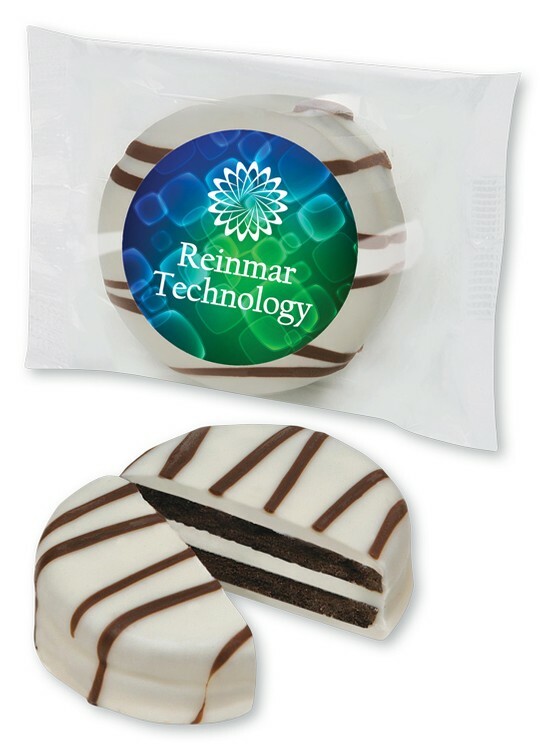 Increase your tradeshow traffic by giving out custom-labeled Oreo® cookies enrobed in velvety white chocolate. They’re also great for company events and sales calls and can be stored at room temperature for up to 3 months. Oreo® cookies are packed in cases of 300 units, with a minimum order of 300 units.